Don't let its small size fool you - the Peavey 6505 Piranha 20-watt amplifier packs the tonal tenacity that Peavey's 6505 series is known for. With a single 12AX7 tube added to the solid-state gain structure, this small amp head will make your guitar sound like a beast through larger speaker cabinets. A front-panel switch toggles Crunch and Lead modes. The effects loop gives you more options for integrating effects pedals and also allows you to use the 6505 Piranha as a "preamp driver" - simply connect the effects loop send to the input of a separate amplifier. 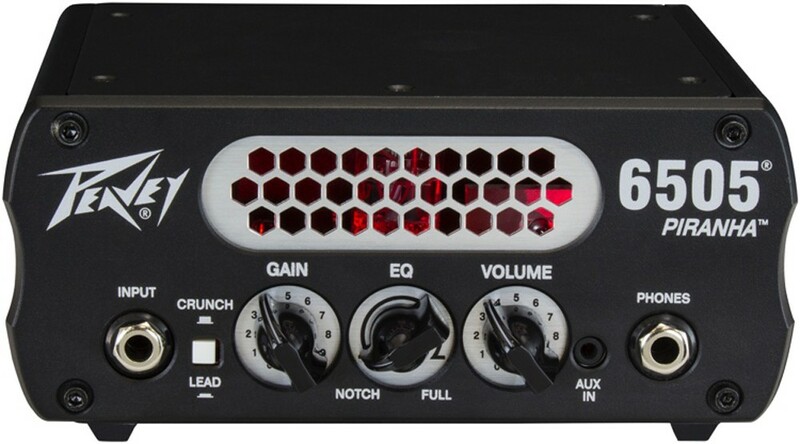 And while it has the goods to be your main gigging amplifier, the Peavey Piranha is also the most size- and space-efficient backup amplifier you could ask for.